A blip or not? Trends in corporate insolvency statistics part ways. 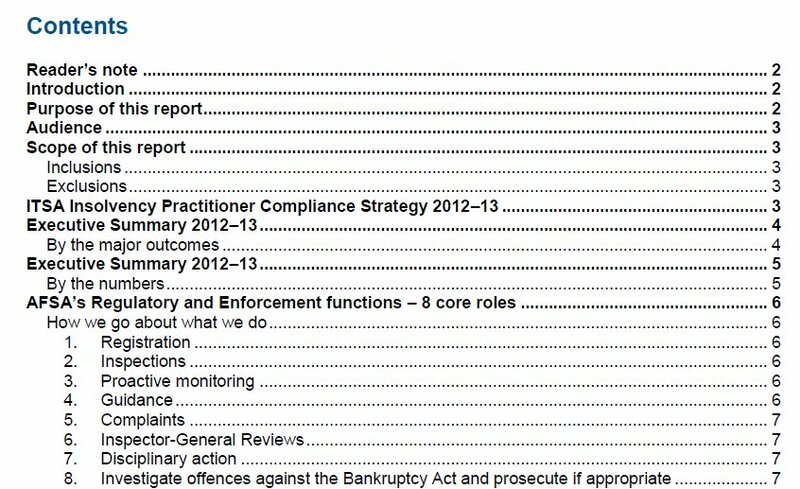 ASIC, Corporate Insolvency, Insolvency practices, Insolvency Statistics, Regulation Comments Off on A blip or not? 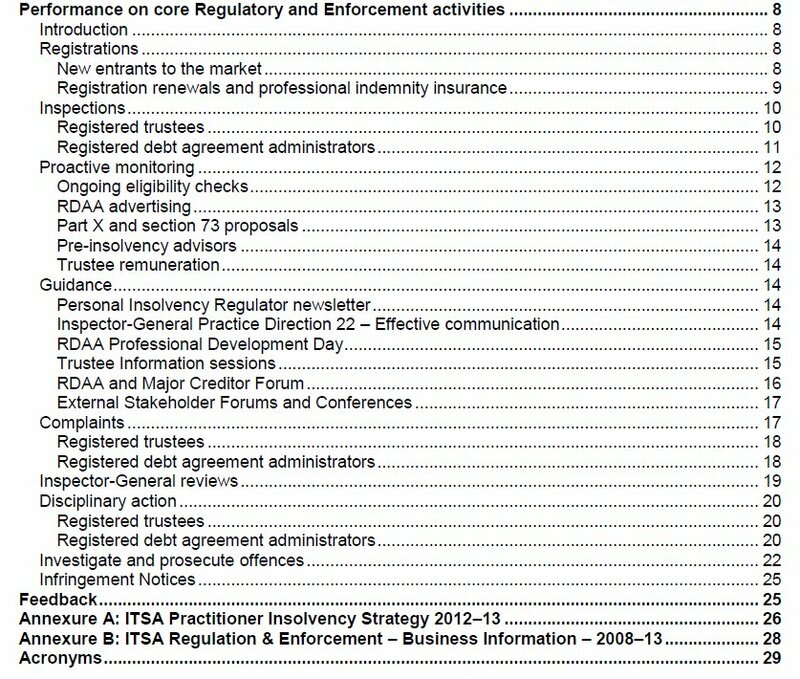 Trends in corporate insolvency statistics part ways. 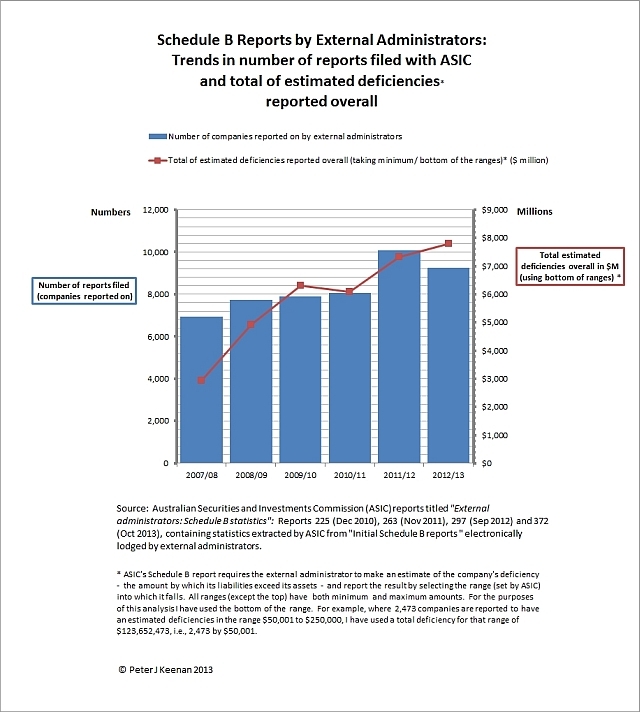 For the first time in six years the number of initial investigation reports filed with the Australian Securities and Investments Commission (ASIC) by external administrators has not risen in line with the increase in the number of companies entering external administration. There could be several reasons for this variation, or it may simply be a blip. Next year’s statistics will be interesting. 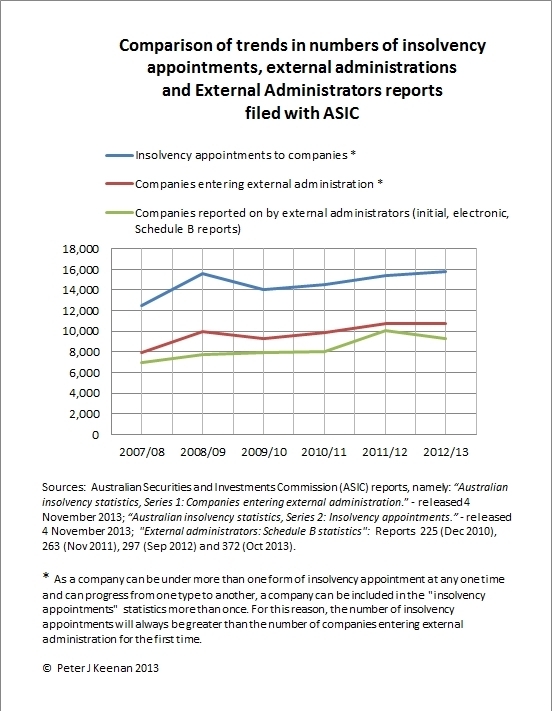 The chart below, prepared exclusively for this blog using ASIC statistics, compares the trends from 2007/08 to 2012/13 in the numbers of corporate insolvency appointments, companies entering external administration and Schedule B investigation reports filed with ASIC. 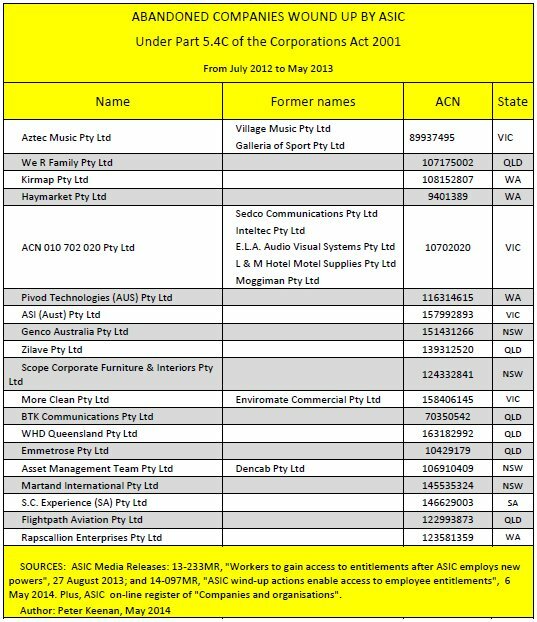 ASIC does not appear to have commented publicly on the variation. (c) s438D (by a voluntary administrator). (b) in the case of a liquidation only, when unsecured creditors are unlikely to receive more than 50 cents in the dollar dividend.